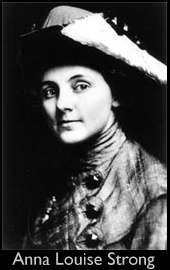 The Revolutionary first began in 1983 when I was making my Masters film titled "Witness to Revolution - the Story of Anna Louise Strong." My subject had been a radical journalist in the United States in the early 20th century and had then gone on to document the revolutions in the Soviet Union and China. She had interviewed Mao in the Yan'an caves where he first used the term "paper tiger" to describe the United States. Since she did not speak Chinese, she needed an interpreter while in Yan'an—and that interpreter was Sidney Rittenberg. 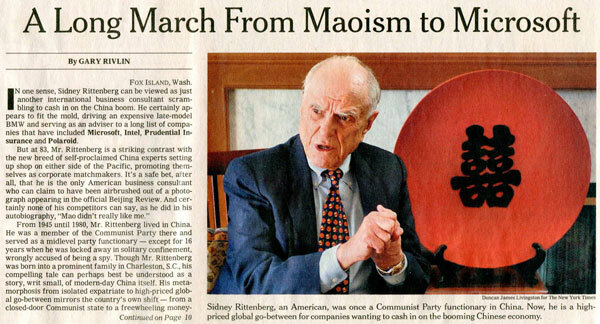 Twenty-one years passed until my husband and filmmaking partner picked up the New York Times and discovered an article on the front of the Sunday Business section featuring Sid titled "A Long March From Maoism to Microsoft." The article revealed that Sid lived about an hour away from me, so I contacted him and he asked to see my documentary on Anna Louise Strong. I knew a film needed to be made on Sid so I approached Irv Drasnin, an award-winning television journalist and documentarian, who, during almost 20 years at CBS News had produced the acclaimed Misunderstanding China, the first American documentary to seek a broad historic understanding of US-China relations for an American audience. Irv had also served as my academic advisor at Stanford graduate school. My husband, Don Sellers, had worked with Irv on a half-dozen documentaries for the PBS series Frontline, including Looking For Mao. In 2005, Sid agreed to allow us to tell his story. In all, four separate interviews produced 26 hours of material for the film and an invaluable oral history of Sid’s life and times. Knowing that Sid taught at Pacific Lutheran University, I contacted PLU's President Loren Anderson seeking their support. Anderson and his wife MaryAnn enthusiastically agreed to help. In December 2006, philanthropist George F. Russell, Jr. hosted the first fundraiser and generously gave the project a jump-start. 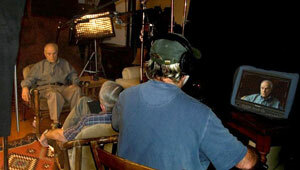 The next five years were devoted to raising funds, shooting and editing the feature-length documentary film. 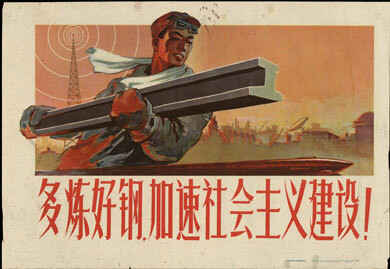 The Revolutionary is an important document of an important period that few Chinese are aware of, let alone many Americans.